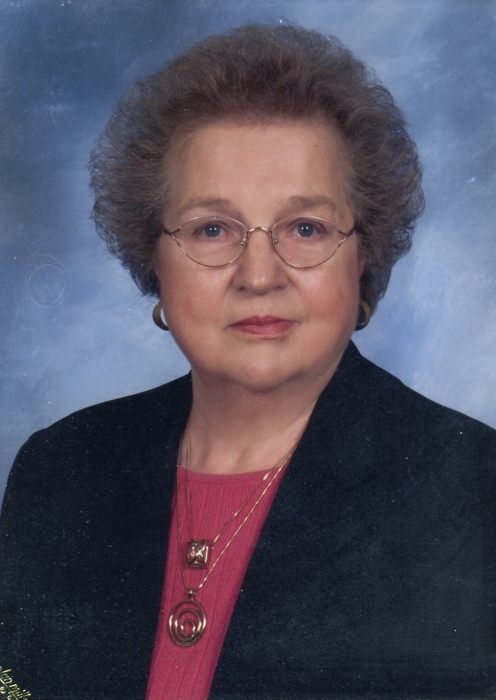 Mrs. Cherry S. Faircloth, 84 of Autryville, passed away on Friday, February 1, 2019 at Cape Fear Valley Medical Center in Fayetteville. The funeral service will be held at 3:00pm Sunday, February 3 at Long Branch Baptist Church, 2868 Minnie Hall Road, Autryville, with Rev. Richard Spell and Rev. Randy Beasley officiating. Burial will follow at the Daniel Hall Cemetery. Mrs. Faircloth was a native of Sampson County, the daughter of Jordan and Katie Hall Sessoms. She was preceded in death by her parents; her husband, Thomas Faircloth; and her daughter, Vicky Faircloth. She was a retired Seamstress with Stedman Sewing Factory. She is survived by four daughters, Linda F. Page (husband, Aaron), Beth Faircloth, Felicia F. Coats (husband, Dannie), and Tammy J. Faircloth; one son, Jeff Faircloth (wife, Karen); eleven grandchildren and seventeen great grandchildren. The family will receive friends from 6:00 to 8:00pm Saturday evening at Butler Funeral Home, 401 W. Roseboro Street, Roseboro, and other times at her home.